It's been about ten years since we've sung with Frederica Von Stade. 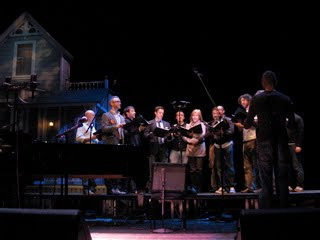 We had no idea (until a few days ago) we'd meet up this week for a number on Prairie Home Companion. We'll rehearse again tomorrow just before the show when Ringmaster Keillor will pull all the pieces together in that way he has!